At Nadrazi Holesovice metro station. Close to one of Prague's fashion schools (there are two in Prague, I think). She might be going to that school now. 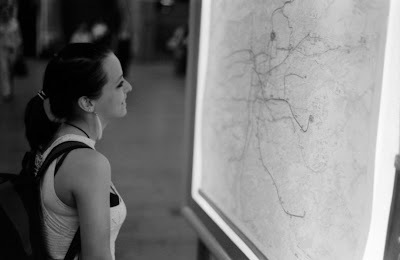 At least she wanted to when we accidentally met (in front of that school) and I took this picture of her (in front of a Prague Metro map).